China, officially the People's Republic of China (PRC), is a unitary sovereign state in East Asia. With a population of over 1.381 billion, it is the world's most populous country. The state is governed by the Communist Party of China, and its capital is Beijing. It exercises jurisdiction over 22 provinces, five autonomous regions, four direct-controlled municipalities (Beijing, Tianjin, Shanghai, and Chongqing), and two mostly self-governing special administrative regions (Hong Kong and Macau), and claims sovereignty over Taiwan. The country's major urban areas include Shanghai, Guangzhou, Beijing, Chongqing, Shenzhen, Tianjin and Hong Kong. China is a great power and a major regional power within Asia, and has been characterized as a superpower. Today, the Chinese government has accepted numerous elements of traditional Chinese culture as being integral to Chinese society. With the rise of Chinese nationalism and the end of the Cultural Revolution, various forms of traditional Chinese art, literature, music, film, fashion and architecture have seen a vigorous revival. 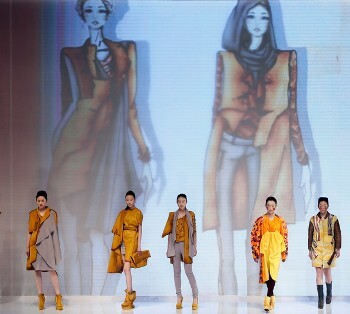 The news will be a nice mix between Chinese fashion brands, Chinese fashion designers, fashion weeks, etc. In addition to style and trend news, you will find news about textiles as well as the manufacturing aspect of the industry.